As an avid investor in space crowdfunding campaigns, I had no hesitation to support the Kickstarter by the Intergalactic Travel Bureau. 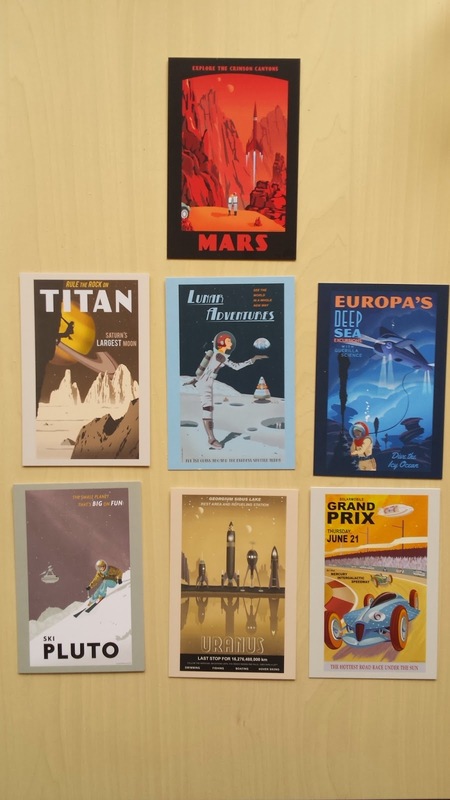 I received my perks yesterday, a beautiful set of postcards hinting towards all great destinations in the Solar system (see below). Next step for me is to get their group over to the Netherlands for either Oerol on Terschelling or the Mooi Weer Spelen in Delft. Check out some of your travel options below!